Sharktoberfest, 2017 edition, is happening September 30! Join us on Saturday, September 30, 2017, at Crissy Field for a day of family-friendly fun, shark activities, live music, and the Ocean Life Parade and Contest! Sharktoberfest is presented by IOFF's community partners and Ocean Heroes the Greater Farallones National Marine Sanctuary and Shark Stewards. Every year from September to December, the waters off the Northern California coastline out to the Farallon Islands see a "fin-omenal" influx of white sharks. They arrive from what's referred to as the "White Shark Cafe," an area of the Pacific not far from Hawai'i, to feed on elephant seals and other marine life. It's an exciting time and a chance to celebrate these beautiful and widely misunderstood creatures that are so vital to our oceans. 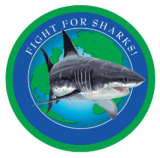 To learn more about white sharks and Sharktober, read the transcript of a recent interview with David McGuire of IOFF community partner organization Shark Stewards.